Meet the British actress who has reportedly stolen Tom Cruise's heart. Before she was given the dubious title of the 'future-rumoured-Mrs-Tom-Cruise', Kirby was still riding high in Hollywood thanks to her breakout role in The Crown on Netflix. 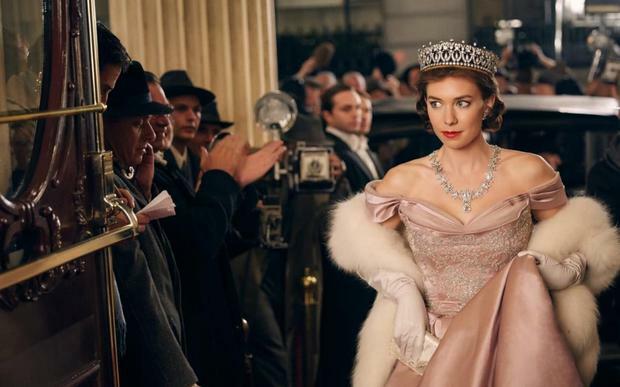 She depicted a cigarette smoking, affair having and party-loving princess with aplomb and gave the title crown-wearing Queen Elizabeth a run for her on money on being the most popular character from the biggest show the streaming service has ever made. English rose Vanessa grew up in Wimbledon, London before attending the Lady Eleanor Holles School in Hampton and later studying English at Exeter University. While her father is a well-respected prostate surgeon, her mother was one of the founders of Country Living and worked as a magazine editor for several years. Her sister Juliet also works in the industry as a theatrical agent, while her brother Joe is an assistant headteacher. The actress previously dated actor Douglas Booth, whom she met on the set of BBC's Great Expectations, for more than a year in 2012. Thanks to her role in The Crown, Vanessa has gone from supporting roles in rom-coms to Hollywood blockbusters. She is a critically acclaimed stage actress but is transitioning onto the big screen, most notably with her MI:6 role, which has already propelled her to tabloid superstardom. "He’s blown her away with his endless charm and energy. He thinks she’s perfect to be his next wife," a source told InTouch Weekly.